Featuring one of Anna's best loved ink-painted designs, this Giraffe print lamp shade in blush pink throws out a beautiful soft light. Made by Anna Hayman Designs in Sussex, the shades can take between 8-9 hours to produce. Made with a choice of heavy duchess satin or velvet and hand stretched and hand-stitched, these shades are a true work of art, they are available with white or gold lining so that the light softly shines through. 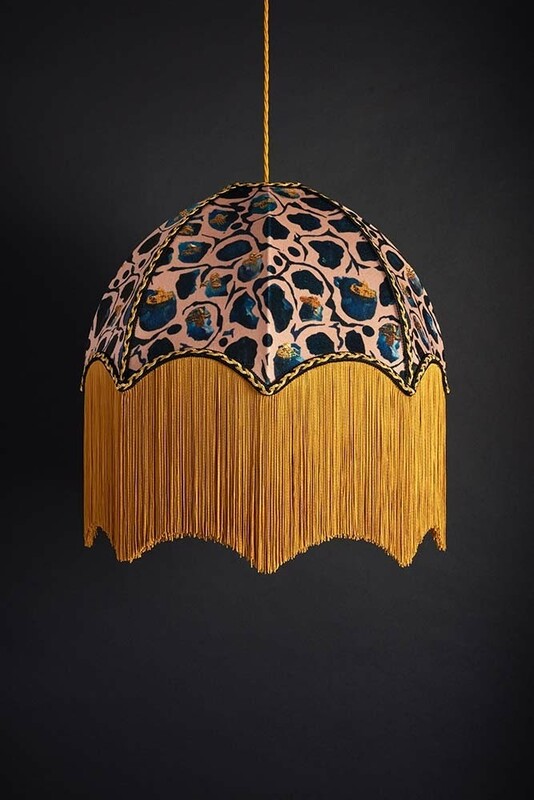 They are finished with a delicate old gold trim and tassels for a decadent look. 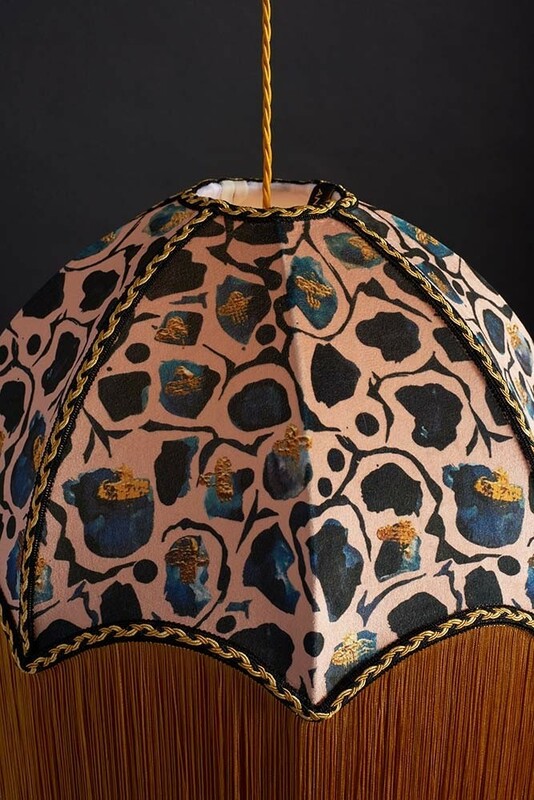 This Giraffe Lamp Shade is the perfect accessory to add a bright and zesty look to any room. 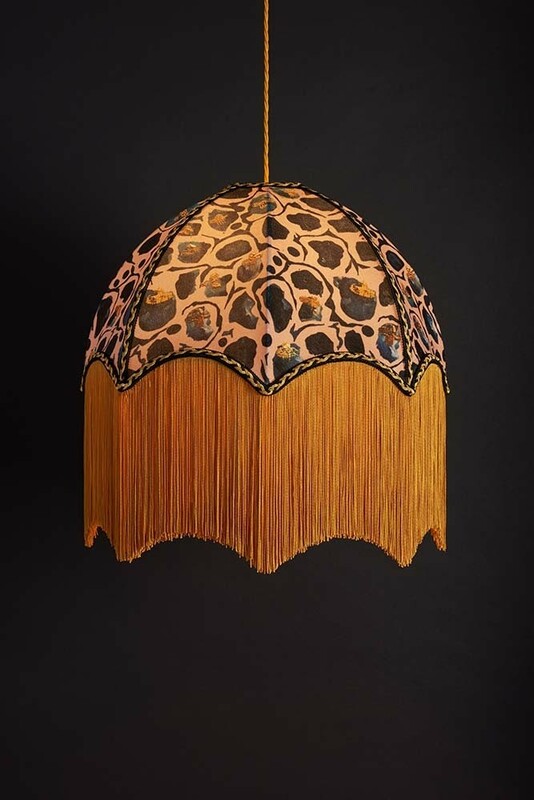 It looks fabulous on a side or floor lamp with a pendant shade version also available.